The Catholic cemetery is in the central part of the island on Weg Naar Bullenbaai. This is a modern cemetery still in use, and with plenty of room for expansion. The gate was latched but not locked when visited. 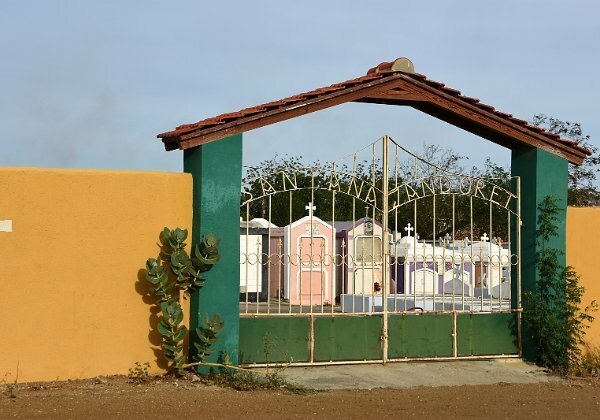 The overall impression is that this cemetery is far less colorful, much more 'monochrome' than most Curacao burial sites. Photographed July 2016. Copyright (c) 2019 J.A. Maass.